Maclay Hoyne was an Illinois State Attorney for Cook County. Clarence Darrow faced Hoyne in several trials and during several appeals. 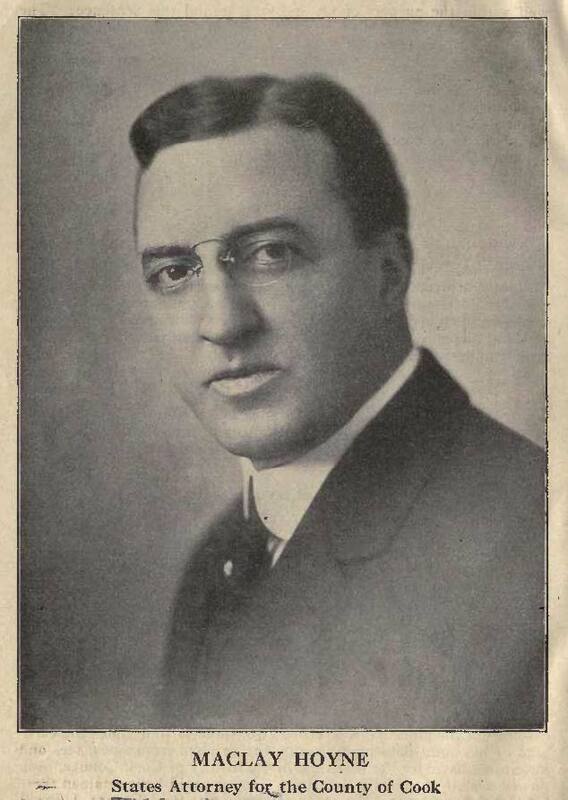 Photo from 50 - 50 Fighting Chicago's Crime Trusts by Henry B. Chamberlin.